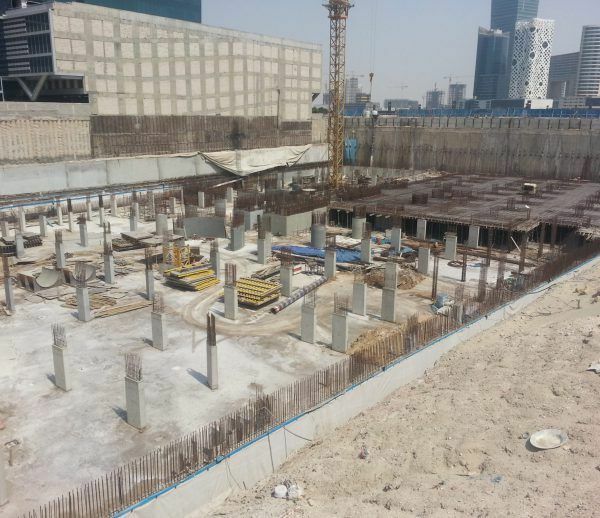 When it comes to infrastructure projects, Dubai in the UAE does it both in style and on a grand scale. 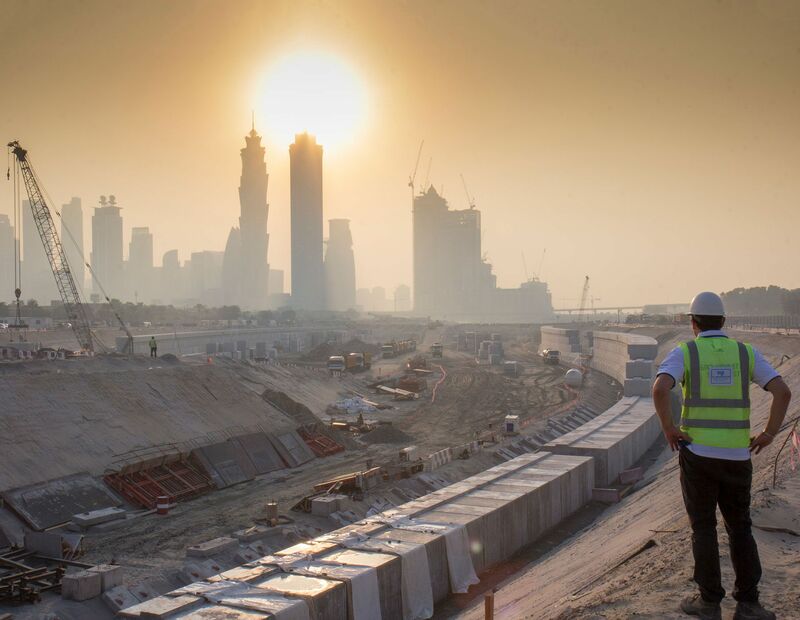 The Dubai Water Canal extension is one of the largest infrastructure projects in the UAE in recent times, and opens up a new pathway for residential, commercial, hotels and retail along its banks. 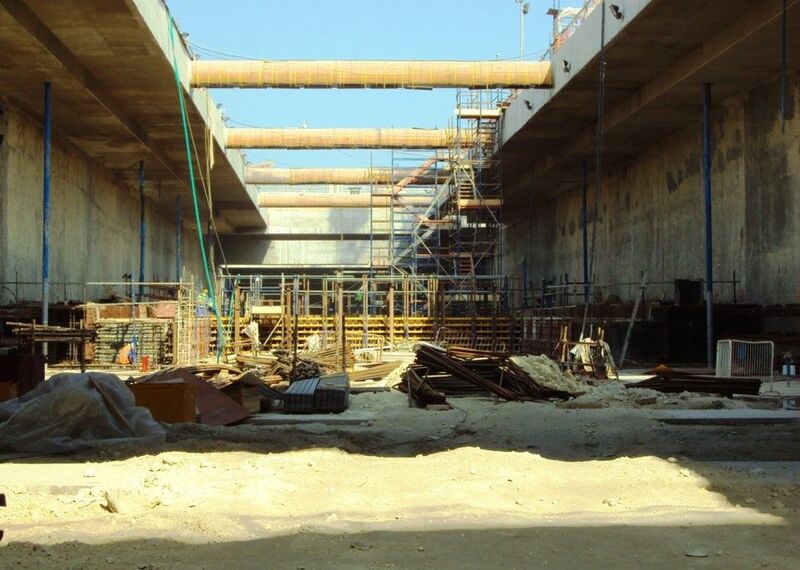 WJ were chosen by the Main Contractor Besix to be the sole dewatering contractor for the construction of the RTA Dubai Water Canal extension. 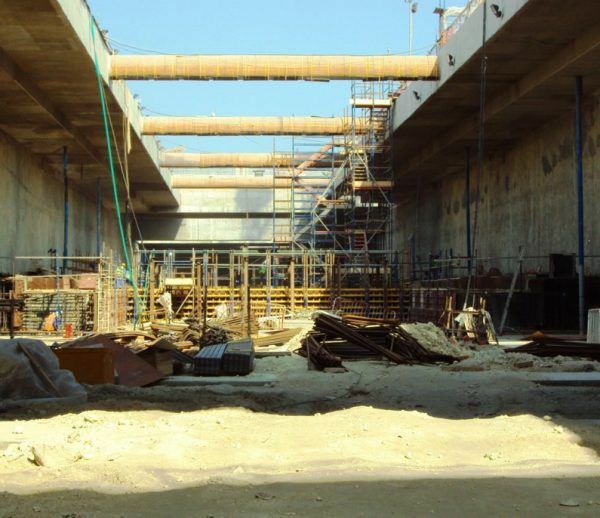 The 3km long canal extension is over 100m wide and extends the Dubai Creek from Business Bay, beneath a 16 lane bridge on Sheikh Zayed Road, past Safa Park, beneath Al Wasl Road and Jumeirah Beach Road and onto the Arabian Gulf. WJ were awarded the works as we designed a cost effective solution that, as well as having the lowest commercial price during competitive tender, also delivered a scheme that had minimum interference with their excavation and construction works. Although the canal is over 120m wide in many sections and despite many competitors stating that internal wells were required to achieve the drawdown, through WJ’s careful design, computer modelling and pumping tests, WJ successfully dried out the canal with only deepwells located on the outside of the canal. 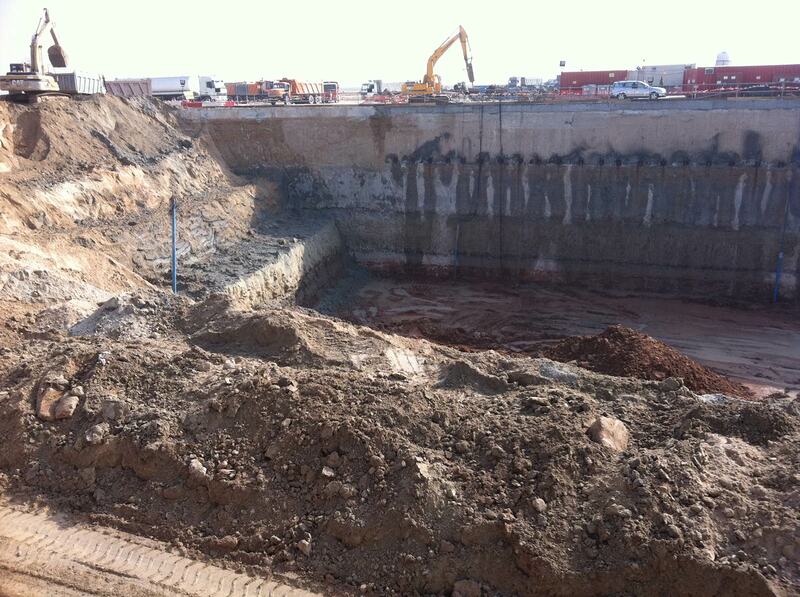 Rapid drawdown was achieved on the site by under-draining the silty sands from the rock below. Small sections of the canal contained bands of black and very silty fine sand. This low permeability sand made it challenging to get the initial drawdown as perched water sat on top of the silt. The solution was found that by locally excavating pits through the silty sand to the rock below, it allowed the water to drain, much like removing the plug from a bath tub. Careful selection of the well screen slot size and filter pack meant that despite dewatering the fine silty sand, no fines were removed during dewatering. 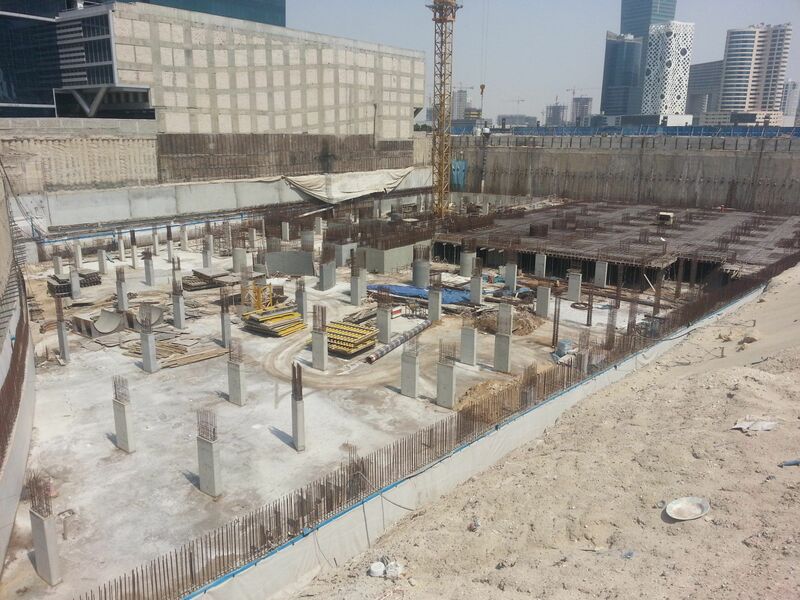 Over 10 km of HDPE pipework was installed around the top of the first section of canal next to Safa Park. As this was the first section it was imperative that the canal could be dried out quickly, and the HDPE allowed the pumps to work at peak performance, reducing fuel consumptions, and providing a robust solution that was resilient to damage. 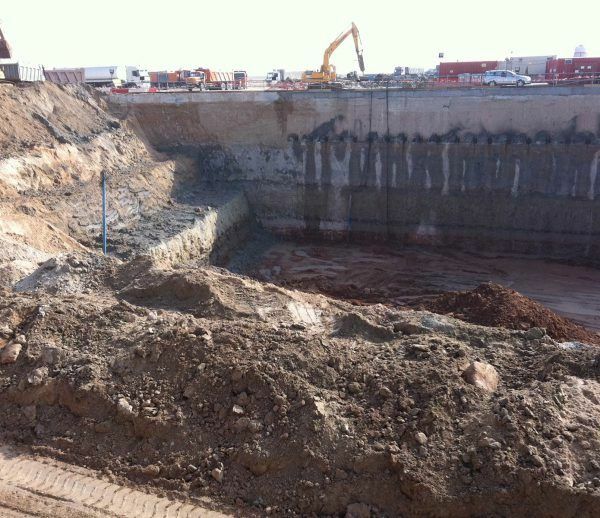 The HDPE headermain connected to a booster pumping station located next to Al Wasl Road, from where the discharge water was thrust to the sea via a 630mm diameter discharge line. 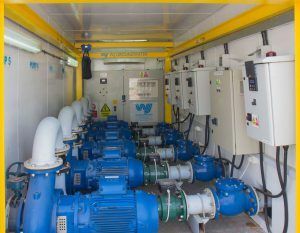 The booster station consisted of two WJ containerised electrical booster pump stations. WJ’s fleet of electric booster pumps are ideal for working in residential areas to keep noise to a minimum. The silenced booster stations are modular, each containing multiple electric pumps within. This allows online maintenance, repair and (if required) upgrade of individual pumps. The flow capacity of each container can be adjusted to pump anything from just a few litres per second up to over 1000 l/s. WJ are very proud to have been part of such a prestigious RTA project and appreciate the team effort and professionalism of Besix.